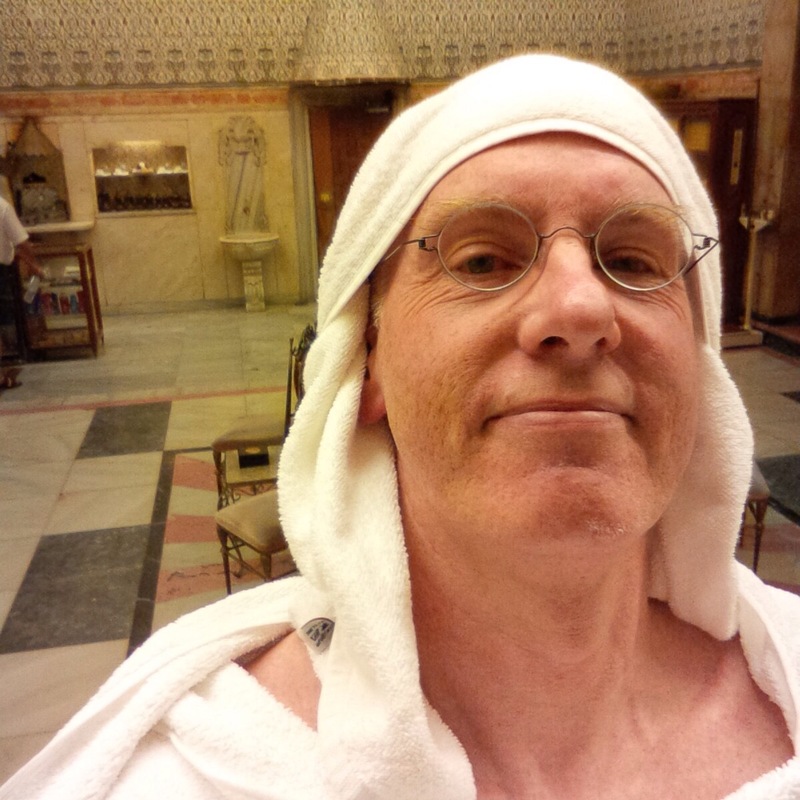 On the last night of my 2-day business trip to Istanbul, I decided to try the Turkish Baths. I checked online and found a couple of highly recommended spots, then went to the hotel concierge for assistance. Instead of the two that I found, she set me up at Galatasaray Hamami, which was within walking distance of the hotel. Probably some sort of kickback. Back in my room I checked it out on TripAdvisor, and found that it had 2 stars out of 5. There were 63 “Terrible” ratings, and 50 that found it “Poor” or better. These are crummy ratings. Now, I have no experience with Turkish Baths, but I think this was very traditional. The facilities looked like they date from the 60’s, or the 50’s, or maybe even earlier. They claim that there have been baths at this location since 1481. It wasn’t luxe, for sure, but I found that charming. The staff were all business: they were doing a job, not winning popularity contests. They said little, but when they did, it was Turkish, not English. I think that’s my problem, not theirs. My guy knew just enough English words combined with gestures to to take me through the process, one step at a time. The soap massage was vigorous and deep and thorough. The scrub was rough. But I think that’s kinda what it’s all about. By the end I was relaxed and invigorated. Yes the price is a bit steep (TL150) but it lasted over an hour from start to finish. All in all, I thought it was a cool way to finish my trip. I would do it again, and I would recommend it. Reminds me of some very revealing baby pics’ You know of which I speak !!. – Amy B.